Kendokas do a lot of queuing. That's a fact. We queue to practice kihon, to keiko with Sensei, to perform equipment inspections. We even queue to use the bath (after practice in Japan comes to mind). So you would think that queuing for practice would be efficient and clinical. Unfortunately, to newbies in Kendo, sometimes, normal queuing convention outside of Kendo does not apply here. For instance, would you find the shortest queue if you knew that at the end of it is the person who would likely beat the crap out of you? To Kendokas, the answer should be a resounding YES! Why do we queue? For the very simple reason that we cannot pair up enough senior players to practice with as motodachi. Seniors are better able to offer the correct opportunity to the kakarite, and at the same time, give advice on how to improve an aspect that may need attention. Secondly, we seldom have the luxury of space. In an ideal dojo, all members can be a motodachi for each other, and there would be enough space for everyone to pair up without fear of causing harm to a compatriot next to them. However, quite often we have large numbers of newbies and it would be advisable to have seniors with at least a few years of training to guide them. At a normal practice session in Singapore, there will be as many assigned motodachi as the space would allow, and all others are expected to form even queues so everyone is able to get a balanced number of tries at each exercise, whether it is kihon or waza. Sometimes, the motodachi may invite a kakarite to take his place so that he or she can have a go at that exercise too. Players in the queue are expected to be aware of their surroundings and fill up a shortened queue, especially when their own queue may start to get noticeably longer. Think about it this way - if you wish to improve, you should practice more - to get more practice, find the shortest queues! Often, the queuing aspect may be seen as a chance to rest. This may become especially obvious during exercises that require more continuous attacks such as uchikomi keiko and kakarigeiko. Again, Kendo is there to challenge you - avoid resting! Embrace the hardship and push harder! In fact, queuing is the best time to learn from others. Watch and learn to see what others are doing - this is the best time to absorb so that you may reflect and think about it later. The first is of a higher level than you, through whom you can learn from. The second is your compatriot, to test yourself. The third is of a lower level than you, so that you may help each other to grow. Let's end on the mystifying topic of queuing for famous senseis. 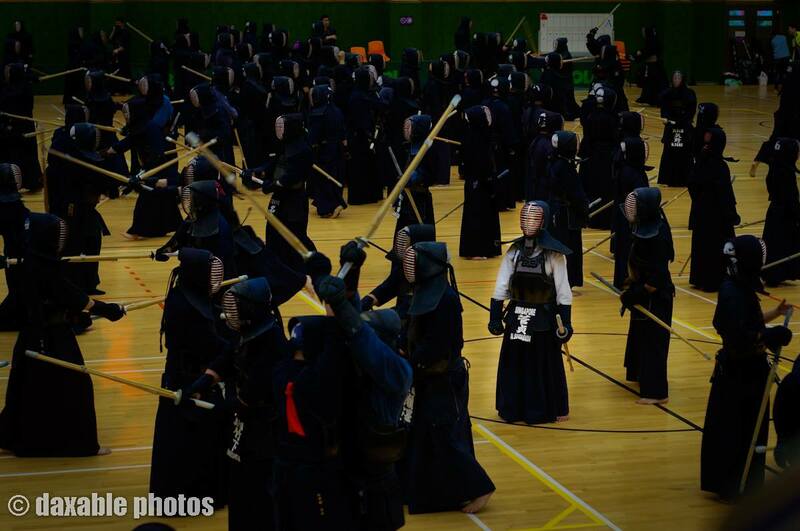 This usually happens at godo keiko during kendo conventions, large tournaments or at famous venues. Queuing for famous senseis would sometimes see rules that a gentleman abide by thrown out the dojo window as people scramble to have a go at some of the Kendo greats. I have also heard of lines that move between other lines as the Senseis move around in battle. The queue can be so precious that kenshis dare not risk letting the Sensei out of their sight! Pretending to not speak the common language in order to feign ignorance and cut a queue is also a tactic I have come across. Do note that this behaviour will of course reflect badly on your kendo upbringing and also your home dojo. Always be on your best behaviour. I hope this article helps you understand how queuing works for your next Kendo session - always apply zanshin, and be aware of your surroundings. Thank you! We welcome suggestions on topics to explore, as well as guest writers who have something to share.